The conventional wisdom has long held secure private property rights to be a critical ingredient of economic growth. At a micro level, secure property rights generate growth by incentivizing efficient levels of investment and ensuring that land and other resources are neither over- nor under-utilized; reducing transaction costs and allowing the reallocation of resources to more efficient users; and facilitating access to credit and the conversion of dead assets into investment capital. At a macro level, secure private property rights—as an essential pillar of individual liberty—create political accountability, which in turn leads to economic policies that are broadly growth-enhancing rather than narrowly beneficial to powerful, rent-seeking elites. Yet, as I argue in a forthcoming paper, economic development has historically also often involved the expropriation of land and resources from marginalized minorities, and the reallocation of these resources into the hands of more politically powerful constituencies and investors with access to capital. The dispossession of Native Americans from their land was a necessary prerequisite for the expansion of large plantations and the widespread establishment of small freehold farms for white settlers throughout the United States in the first two centuries of the nation’s history. The Cherokee, Chickasaw, Choctaw, Creek, and Seminole tribes suffered wholesale legal expropriation by the Indian Removal Act of 1830. By 1840, over 50,000 Native Americans had been forcibly relocated from the American Southwest, opening 25 million acres for settlement. Later, 14,000 Cherokee men, women, and children were marched overland, at gunpoint, by the U.S. Army in the summer of 1938. The widely lauded secure private property rights enjoyed by yeoman American farmers in the nineteenth century were made possible by the property insecurity of Native Americans. At the same time, insecure property rights can foster anti-government grievances, motivating dispossessed groups to rebel and increasing the likelihood of armed conflict. This complex relationship between property insecurity, growth, and conflict is readily apparent in the violent separatist conflict that engulfed Bougainville, Papua New Guineafrom 1988 to 1997. Traditionally, land in Bougainville was collectively owned through matrilineal clan lineages, with use rights shared by all members. Copper was discovered in Bougainville in the mid-1960s, and the PNG government claimed the minerals, selling the Panguna copper mining concession to Bougainville Copper Ltd., a subsidiary of Rio Tinto Ltd. 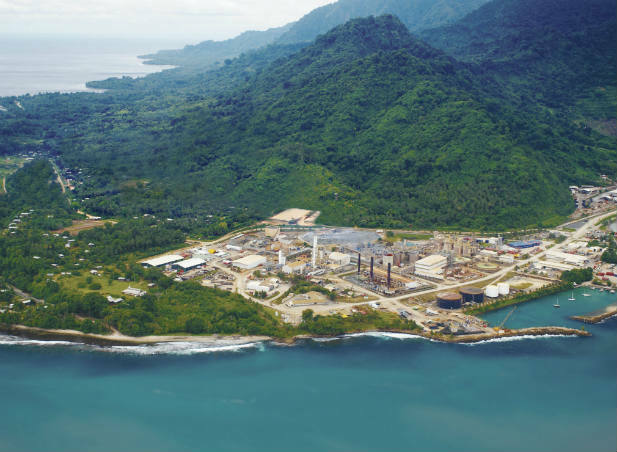 The government forcibly relocated entire villages, and excluded Bougainville from the revenue-sharing agreements it negotiated with Rio Tinto. The prioritization of the state’s and the corporation’s property rights at the expense of the Bougainvilleans’ initially generated high economic returns: from 1972 to 1989 the Panguna mine contributed 16 percent of Papua New Guinea’s GDP and 44 percent of its exports. However, in 1988, the convergence of grievances regarding the effects of mining, the inequitable allocation of revenues, and long-standing political exclusion provoked a group of marginalized Bougainvilleans to attack a number of Rio Tinto’s buildings, destroying the mine’s power supply. The PNG government responded with a military crackdown. This fueled an ethno-nationalist rebellion with separatist aims, which intensified through the 1990s. By 1996 over 15,000 civilians and combatants had been killed in the conflict, and another 60,000 people displaced. The war also brought the economy to a standstill, inciting a severe fiscal crisis by the mid-1990s. In Bougainville the initial growth produced by prioritizing elites’ property rights was ultimately undermined by violent conflict. This all suggests that economic growth can occur when the property rights of the majority of the population are secure but marginalized minorities face a high risk of expropriation—because land is reallocated into the hands of more politically powerful constituencies and investors with access to capital and other complementary productive inputs. However, the potentially growth-enhancing effect of forced displacement and resettlement can be tenuous, as property insecurity suffered by marginalized groups might generate violent conflict, which reduces growth. So if aggregate economic growth is the sole objective of policymakers, they may wish to ignore (or even encourage) the expropriation of land and resources from marginalized groups and the reallocation of these resources into the hands of more productive investors. But aggregate economic growth does not necessarily mean inclusive economic growth: those with the least power and voice may be left out and left behind by growth-enhancing policies that strengthen the property rights of some but weaken the property rights of marginalized groups. And if avoiding armed conflict and civil war is the primary goal, then special care should be taken to safeguard the property rights of marginalized groups—even if this means slower economic growth in the short-term.